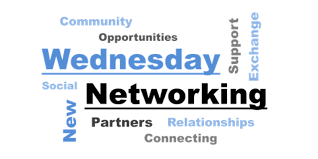 Join us at Network Wednesday, every Wednesday, at the Chamber. In 60 seconds, tell us about your business. Show off your product, Bring a prize for a drawing, Bring a friend and get an extra chance to participate in our "Monthly" drawing!